The use of medium and light tanks as command vehicles was standard practice in the armored units. On most of these, the modifications consisted of little more than the installation of additional radios and signaling equipment. Some other vehicles received extensive rework. For example, Brigadier General George Read, the Assistant Division Commander of the 6th Armored Division, used a highly modified M8 75mm howitzer motor carriage as his command vehicle. The turret on the M8 was removed and replaced by a fixed armor superstructure fitted with .50 caliber machine gun. A wide variety of armored vehicles were used to perform the reconnaissance mission. These included armored cars, half-tracks, and light tanks. One experimental program attempted to develop a full-tracked armored vehicle specifically for reconnaissance duties. This development was required by a letter from the Headquarters, Army Ground Forces dated 21 December 1943 (U.S. Army). 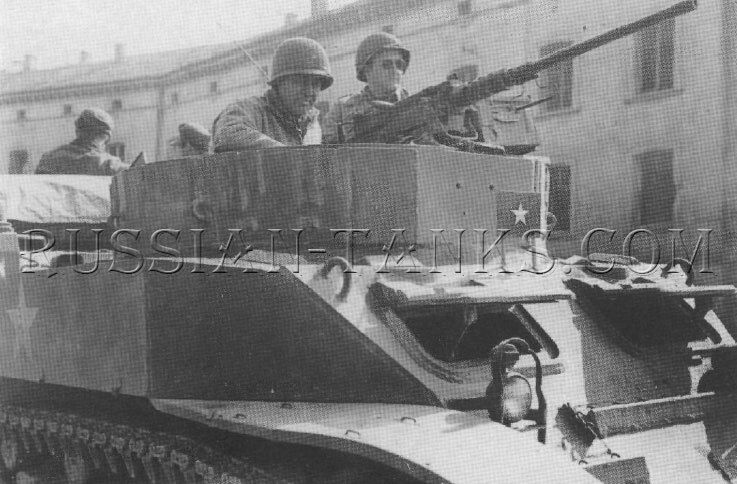 In response, OCM 22941 of 17 February 1944 directed that two M5A1 light tanks be converted to reconnaissance vehicles. These vehicles evaluated two different designs and were designated as the reconnaissance vehicles T8 and T8E1. In both cases, the turrets were removed and an M49C ring mount was installed for a .50 caliber machine gun. On the T8, this mount was high above the right rear of the open fighting compartment. 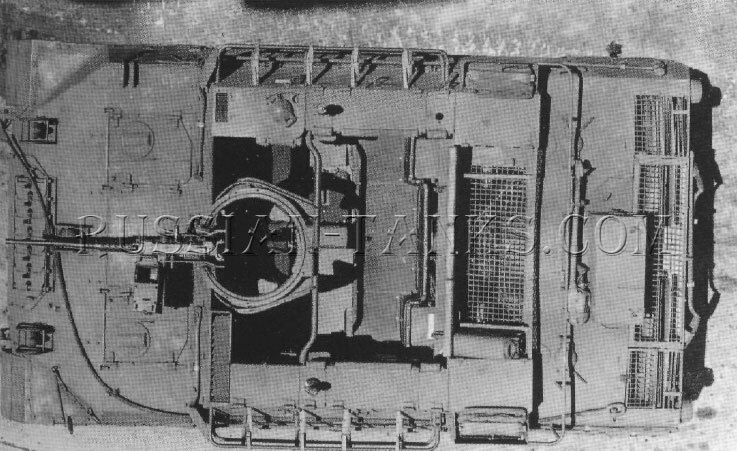 The T8E1 carried the same mount lower and concentric with the turret ring opening. The T8E1 was fitted with 16 inch wide Burgess-Norton steel tracks while the T8 retained the original 1 !5/8 inch wide rubber tracks. With a six man crew, the T8 and T8E1 had combat weights of 28,200 pounds and 30,900 pounds respectively. Both vehicles carried the SCR 506 radio in the left sponson and the SCR 528 in the right. A rack for ten antitank mines was attached to the outside of the right sponson and a 2 inch smoke mortar was located in the hull roof between the driver and the assistant driver. Evaluated at Fort Knox, the T8E1 was considered to be a satisfactory reconnaissance vehicle and superior to the T8. However, the Armored Force Board recommended that the light tank M24 be used as the primary reconnaissance vehicle because of the greater firepower of its 75mm gun. 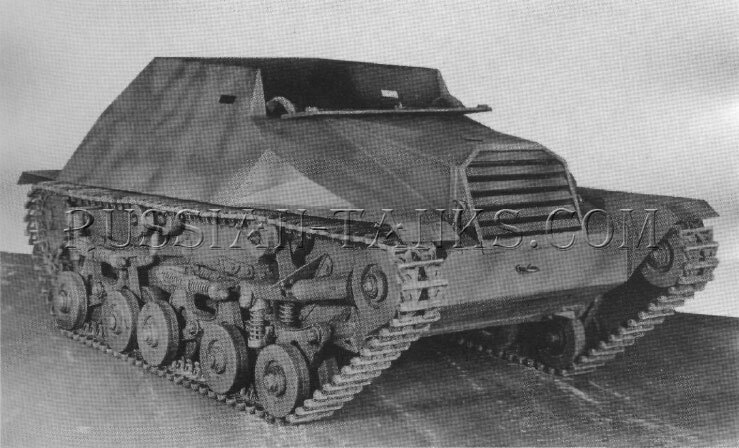 As mentioned previously, the armored utility vehicle T41 was standardized as the M39 and was intended to be the prime mover for the 90mm gun carriage T5E1 in the Tank Destroyer Command. Ten vehicles were designated as the armored utility vehicle T41E1 and fitted out as command and reconnaissance vehicles. These were equipped with SCR 506 and SCR 508 radios in the left and right sponsons respectively. To provide power for the additional radios, an auxiliary generator was installed in the right front sponson. Like the M39, the open top T41E1 was vulnerable to artillery air bursts and the Tank Destroyer Command proposed armor covers for both vehicles late in World War II. Several interesting vehicles were produced for Canada by Marmon-Herrington and Willys-Overland Motors, Inc. utilizing power train components from the 'A ton truck. Dubbed the Canadian Armored Tracked Jeep Mark I, it was a two man, open top, vehicle armored for protection against small arms ball ammunition at close range or .303 caliber AP rounds at a range of250 yards. The proposed armament was a Bren light machine gun mounted in the center of the front armor plate. The engine and transmission were installed transversely at the rear of the hull and drove the rear mounted sprockets through a controlled differential. The suspension consisted of four road wheels in two bogies plus an independently sprung leading road wheel on each side. The vehicle was considered to be amphibious, but since it was only propelled in the water by track action, the maximum speed was 1-2 miles per hour. With all of the power train in the rear, the vehicle was down by the stern in the water. 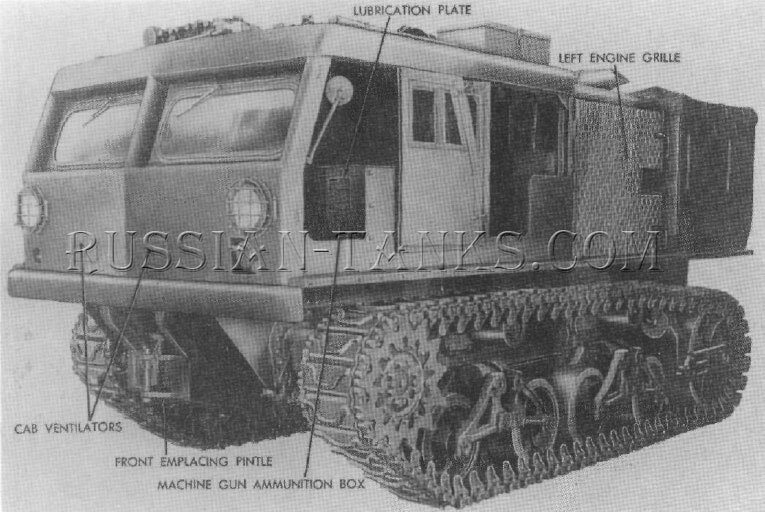 Two of the Mark I vehicles were built, but they were soon succeeded by a modified design. The weight distribution was improved in the new version with the engine and transmission relocated to the front of the vehicle and connected by a drive shaft to the differential at the rear. Six of the modified vehicles were completed. 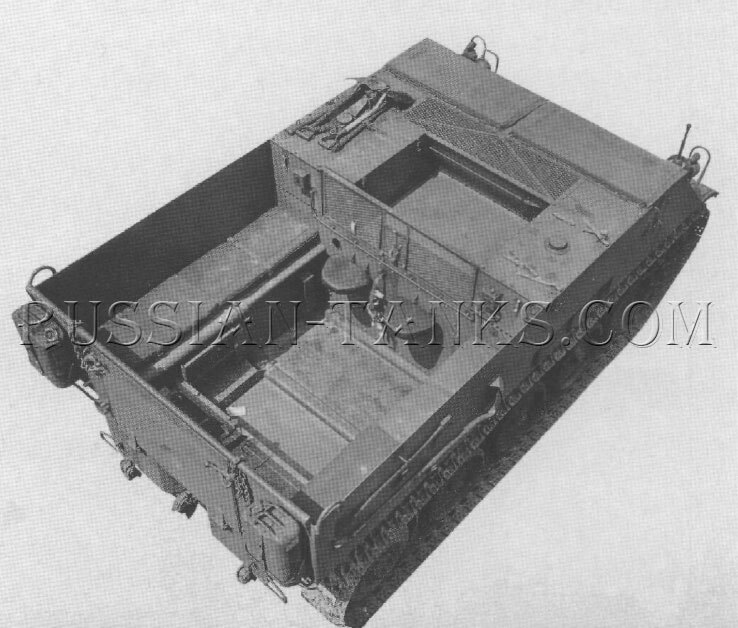 A third design, referred to as the Canadian-American Tracked Jeep Mark II, had a larger hull which would have increased the internal volume and, no doubt, improved its flotation. Five of these were completed, but with the end of the war there was no further production of any of the tracked jeep vehicles. Early in World War II, a large number of high speed tractors were evaluated for military use. Some of these were developed at Rock Island Arsenal and others were commercial vehicles, hi February 1941, the 7 ton high speed tractor M2 was standardized. Built by the Cleveland Tractor Company to Ordnance specifications, it was driven by a Hercules WXLC3, six cylinder, gasoline engine. Its maximum speed was about 22 miles per hour on level roads. Used primarily by the Army Air Force to tow heavy aircraft, the M2 was driven by one man although seats were provided for three. A total of 8,510 M2s were produced at the Oliver Company (formerly the Cleveland Tractor Company) and the subcontractor, John Deere & Company. During 1941, the medium tractor T9 was evaluated at Aberdeen Proving Ground. Built by the Allis-Chalmers Manufacturing Company, it had a loaded weight of 35,280 pounds. With a General Motors 6-71 diesel engine and a torque converter transmission, the T9 had a maximum road speed of 33 miles per hour. However, in 1942, the decision was made to replace the diesel engine with a 225 horsepower Waukesha gasoline engine and the designation was changed to the medium tractor T9E1. 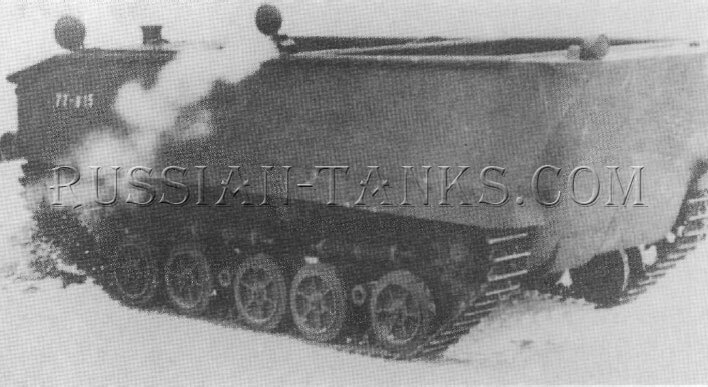 This was the vehicle standardized as the 18 ton high speed tractor M4. Designed for artillery towed loads of 18,000 to 30,000 pounds, the M4 could tow a 90mm gun at 33 miles per hour on a level road. The high speed tractor M2 is at the right. With a fuel capacity of 125 gallons, the cruising range was about 180 miles. The M4 was designated as Class A when carrying an ammunition box with racks for 3 inch or 90mm rounds. 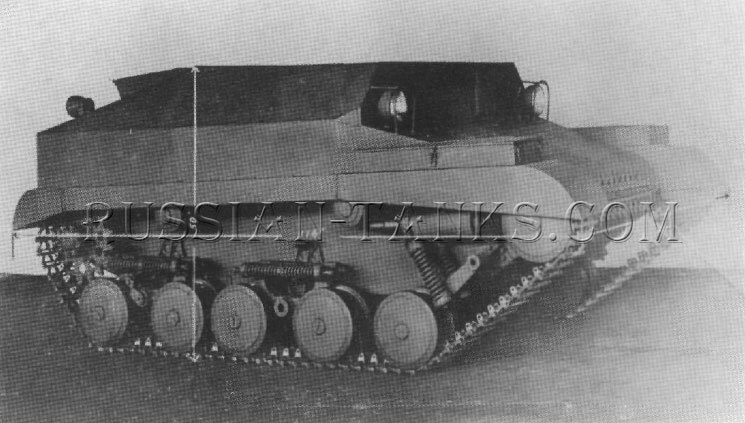 The Class В designation applied when carrying a cargo box with racks for 155mm howitzer, 8 inch howitzer, or 240mm howitzer ammunition. A swing crane and hoist were provided for lifting shells into the cargo box. The cab was divided into two compartments with space for the driver and two men in front and double seats for eight additional men in the rear. The vehicle was equipped with a winch having a maximum 30,000 pound pull and 300 feet of 3/4 inch wire cable. An M49C ring mount for a .50 caliber machine gun was provided for antiaircraft protection. Allis-Chalmers produced 5,552 M4s in the production period lasting from March 1943 through June 1945.